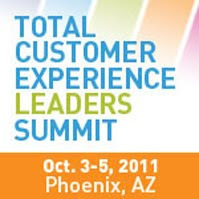 In the weeks leading up to the 2011 Total Customer Experience Leaders Summit we're going to be hearing from some of the speakers. 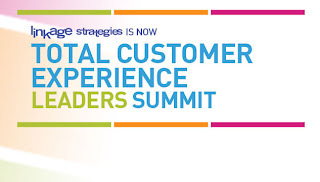 To lear n more about the Total Customer Experience Leaders Summit, download the brochure here. In our interview, Cushman said "what keeps me challenged is the rate of change." Hear more about the changing customer experience world, by listening to the podcast here. To hear more from and network with customer experience leaders, join us this October in Phoenix, AZ for the Total Customer Experience Leaders Summit. Register for the event here. Please use priority code TCEL11BLOG when registering. Storyteller Spotlight Series: Jamie Naughton of Zappos! At Zappos!, customer service has no time limit. In fact, the record for longest customer care call currently stands at 8 hours and 23 minutes! I had the pleasure recently of speaking with Jamie Naughton, Speaker of the House at Zappos for the first of our 2011 NACCM Storyteller Spotlight Series. Jamie shared with me some of the secrets that keep her motivated, and the story of the 7+ hour customer call. To hear more, listen to the podcast here. Jamie will be presenting "Delivering Happiness" at the 9th annual NACCM event. As Speaker of the House at Zappos, Jamie works directly with CEO Tony Hsieh, focusing on the culture for which the company has become known. Learn the different ingredients used by Zappos.com to build a long-lasting enduring brand, including the importance of customer service and company culture. Jamie's one key takeaway: How to Deliver Happiness through Service! Learn more about her session and the NACCM event by downloading the brochure here. 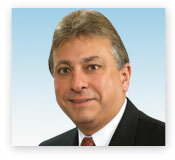 Today we have an interview with David Blair, Director, Customer Experience of Rockwell Automation. 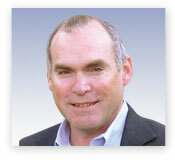 David will be chairing the 2011 event, which takes place Oct 3-5, 2011 in Phoenix, AZ. 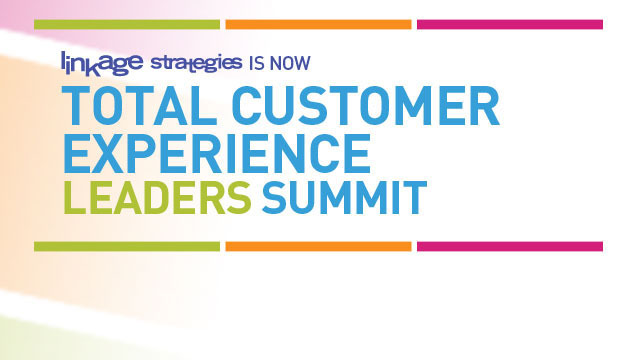 To learn more about the Total Customer Experience Leaders Summit, download the brochure here. TCEL: What books or websites are you currently reading? DB: At the risk of offending authors out there, I’ve found the number of good books around B2B customer experience to be very limited. So I welcome hearing what others have found. I’m currently reading a book called “Wired and Dangerous” by Chip Bell. The book is very helpful in understanding the impact of the internet and social media on service providers. But it goes beyond that to discuss the general psychology behind customer service loyalty. So far I’d definitely recommend it. TCEL: Thanks so much for taking the time to share with us! Are you working in the B2B world and wondering if there is any room for B2B in the social media space? Social Media isn't just a place for B2C companies to announce promotions or sales or address customer concerns. In fact, it can be an excellent platform for B2B companies to create dialog and form engaging human connections with potential prospects, as well as track industry trends and position themselves as a thought leader in the space. Check out this recent post on Fast Company for "6 ways B2B companies can take advantage of Twitter" as a starting point. Symp osium at the The Total Customer Experience Leaders (TCEL) summit. TCEL is about integrating the voice of the customer into disparate pieces of customer research data within B2B. Our Symposium Day will help you learn how to better manage your customer experience by linking social media research to financial value. To learn more about the event, download the brochure here. This session will focus on how to create an end to end process that can be used as a foundation for accountabilities for your front line customer facing resources. In addition to Microsoft the following companies will also share their inside stories on Measurement & ROI, Data Performance, Operational Metrics and Social Media CRM. AT&T, Kelley Blue Book, CVS Caremark, Verizon, AAA Northern California, Rockwell Automation, J.D. Power & Associates, Maritz Research, CPI Card Group, Customer Experience Partners, Customer Bliss, EMC, Forrester, Expedia, Allstate Financial, Peppers & Rogers Group, Pfizer, FedEx Corporation, GE Healthcare and more. Download the brochure to see the full program. The Total Customer Experience Leaders Summit will enable you to effectively measure, align and communicate your customer strategy to ensure business relevance. Register as a reader of our blog with code TCEL11BLOG by July 22, 2011 & save $300 off the standard & onsite rate. Lately we've been looking at the different ways that new technologies can change or improve customer experiences. From customer-centric mobile apps to complaints on social media channels, it's clear that a company needs a digital strategy to survive. It was with that in mind that I was pleased to read this recent interview in Fast Company on "Why Technology Is The Special Sauce In Growth Planning." In the interview, guest blogger Lisa Nirell interviewed Erik van Ommeren of VINT (Vision Inspiration Navigation and Trends) on the ways that "technology is becoming increasingly pervasive in B2B buyer-seller relationships and strategic marketing endeavors." Perhaps the biggest takeaway from the interview? "Customers are seizing the opportunities to share their opinions and preferences, bringing more transparency in every market. For organizations, this means that they will have an even stronger motive to create honest and relevant interactions with their customers. Even if technology doesn't change your company directly, the technology will change your customers' behaviors. Through their changed demands, they will change your company." Honest and relevant interactions are happening as the result of new technologies. Customers are ready to share their experiences and opinions on digital media, and it is now the job of brands to catch up. Social Media and the rise of Social CRM as a practice makes this abundantly clear. Where traditionally CRM was all about using data to better target various customers, Social CRM allows brands to collaborate with customers to discover and solve problems and build meaningful relationships. As Erik says in the interview "It's about people." Read the whole post on Fast Company here. Looking to learn more about Social CRM? Join us at the Total Customer Experience Leaders Summit this October in Phoenix, AZ. At our Social CRM Symposium Day you will learn how to better manage your customer experience by linking social media research to financial value. Register for the conference here. New developments in customer service applications on smart phones and tablets, or as society has now deemed them “apps”, is all about increasing revenue for the businesses creating them. In doing so, the user of the application (the buyer), becomes a more engaged and loyal customer by spending less time on tedious details, and more time deciding what to buy. The saying “time is money,” is everything in the application world, and by lowering the time it takes to buy a product, companies make it more likely through consumer-friendly applications to see increased revenues and sales. Essentially, the ease of connection between the seller and the buyer is paramount to retaining customers and ultimately adding to the bottom line. Increasingly, the competitive landscape between retailers has forced them to expand and enhance their mobile applications to help attract and retain consumers. In today’s technology driven and increasingly wired-world, it is essential for retailers to create applications that allow for buyers to easily communicate with sellers, albeit on a transaction or customer service basis. Current developments in customer service applications by retailers in recent months have helped ease the process of transactions for buyers, and therefore, began to pave a path for productivity and satisfaction for both parties. A significant breakthrough in this field has been a strategy known as straight through processing (STP),that works so that once the seller has the necessary information for a purchase as input by the buyer, it becomes stored and password protected for individuals future usage. By essentially creating a saved account on individual apps within companies computer network, buyers no longer have to dredge through inputting information they may have done just a few days ago. This process has allowed an expedition of the customer service processes and retail sales, by allowing buyers to skip the tedious steps of inputting personal information and instead just punch in a password tied to their personal account. Inherently, this allows for accessibility and ease for the buyer; two traits vitally necessary for enhancing the customers experience with X retailer or seller, as well as increasing the customers likelihood of returning to use that retailer. The Best Buy application is just one amongst many other applications that have enhanced and eased the connection between large-scale retailers and customers, allowing for a more personalized relationship on portable devices. The correlation between increased personal service through applications and repeat usage of services from individual consumers is overwhelming, and surely signifies the necessity and potential for increased revenue that these customer service applications provide in the long run. Simply put, by connecting major retailers with customers through applications allows companies to connect to their patron on a more personal level, ultimately leading to brand loyalty which is essential for long-term revenue growth. Looking to learn more about Mobile Customer Service Apps? Check out "Is Your Mobile App Customer Centric?" with Matthew Rhoden of Peppers & Rogers Group at this year's Total Customer Experience Leaders Summit.